Channel is a trademark of DTS, Inc. Product includes software. В© DTS, Inc. All Rights Reserved. 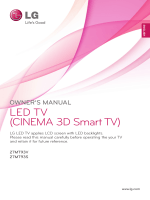 Your TVвЂ™s OSD (On Screen Display) may differ slightly from that shown in this manual. -Image shown may differ from your TV. some of the pixels used to create images. stand hinge as shown in the figure. and close the screw cover. heat, as this may result in fire or other damage. illustration, as may injure your fingers. 2 Gather and bind the cables with the supplied cable holder. with excessive force, it may fall off. on the TV or power button on the remote control to turn the TV on. The Standby Light is turned off. 3 The initial setting screen appears if you access the TV for the first time. 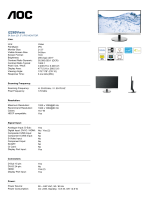 4 Follow the on-screen instructions to customize your TV according to your preferences. work, depending on the DTV broadcasting environment. When France is selected for Country, the initial password is not вЂ�0вЂ™, вЂ�0вЂ™, вЂ�0вЂ™, вЂ�0вЂ™ but вЂ�1вЂ™, вЂ�2вЂ™, вЂ�3вЂ™, вЂ�4вЂ™. To display images in the best quality for your home environment, select Home Use mode. Store Demo mode is suitable for the retail environment. settings of Store Demo mode in 5 minutes. 5 When the basic settings are complete, press OK. If you do not complete the initial setting, it will appear whenever you access the TV. The Standby Light is turned on. You can also access Factory Reset by accessing OPTION in the main menus. 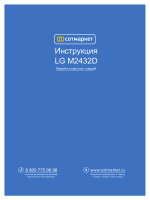 manual supplied with the connected device. from the actual accessories and an RF cable is optional. Connect the TV to a wall antenna socket with an RF cable (75 О©). information about an external deviceвЂ™s connection, refer to the manual supplied with each device. 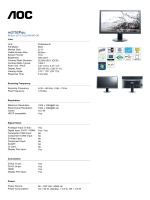 camcorders or cameras, gaming devices, and other external devices. Connect the TV to a satellite dish to a satellite socket with a satellite RF cable (75 О©). and the TV with the HDMI cable as shown on the following illustration. Use a High Speed HDMIв„ў Cable. 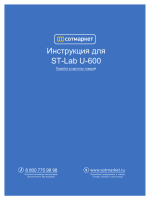 High Speed HDMIв„ў Cables are tested to carry an HD signal up to 1080p and higher. Supported DTV Audio: MPEG, Dolby Digital. Check to ensure the cable are matched with the corresponding color connection. using progressive scan, make sure to use the component cable. device and the TV with the composite cable as shown on the following illustration. Any Euro scart cable used must be signal shielded. signals cannot be output through the SCART cable, and the recording cannot be performed. progressive scan, make sure to use the Euro Scart cable. AUDIO menu items are disabled when connecting a headphone. memory card reader to the TV and access the USB menu to use various multimedia files. View the encrypted (pay) services in digital TV mode. This feature is not available in all countries. Connect the mobile phone to the HDMI IN 1(MHL) port to view the phone screen on the TV. The MHL passive cable is needed to connect the TV and a mobile phone. Some applications can be operated by the remote control. For some mobile phones supporting MHL, you can control with the magic remote control. Do not connect a modular phone cable to the LAN port. on, without device configuration or user intervention. It is recommended to use the TV with the HDMI connection for the best image quality. If you turn the TV on when the set becomes cold, the screen may flicker. This is normal. Some red, green, or blue spots may appear on the screen. This is normal. reproduces sound clearly with a rich bass. the TV with an HDMI connection. cable as shown the following illustrations. To transmit an audio signal, connect an optional audio cable. carefully and use the TV correctly. Make sure to point the remote control to the remote control sensor on the TV. currently program and the screen. and return to TV viewing. On MHEG channel, you cannot adjust the backlight with the yellow or blue key. remote control sensor on the TV. which you can select programme number. You can use к•Њ/к•Ќto move between pages. detergent. Then wipe immediately with a clean and dry cloth. lubricants, as these may damage the screenвЂ™s finish and cause discolorations. small amount of mild detergent. Do not use any chemicals as this may deteriorate the surface. LED) to prevent image burn. For optimal 3D viewing distance, please see the table below. Please maintain the optimal viewing distance for the best 3D experience. For optimal 3D viewing angles, see the table below. your hands on the keyboard. yy 3D Contents are not recommended to those who suffer from stereo blindness or stereo anomaly. yy Check if the batteries are still working and properly installed ( to , to ). you may not see 3D images properly on the TV. optimal viewing angle or distance. the images may look overlapped or not be displayed properly in 3D. *In Analogue Brodcating, 3D Imaging does not work. yy Disable the 3D imaging mode with the 3D button. or top/bottom when you change the displayed on the screen by pressing the 3D button on the remote control. become permanently imprinted on the screen. Use a screen saver when possible. There may be interference relating to resolution, vertical pattern, contrast or brightness in PC mode. The synchronization input waveform for Horizontal and Vertical frequencies are separate. DOS mode may not work depending on the video card if you use an HDMI to DVI cable.